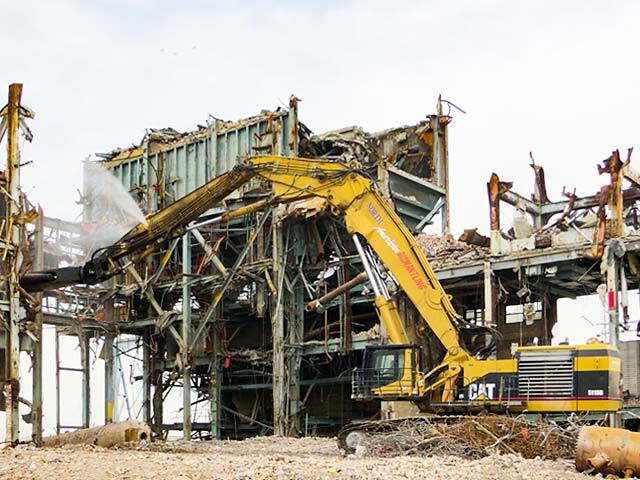 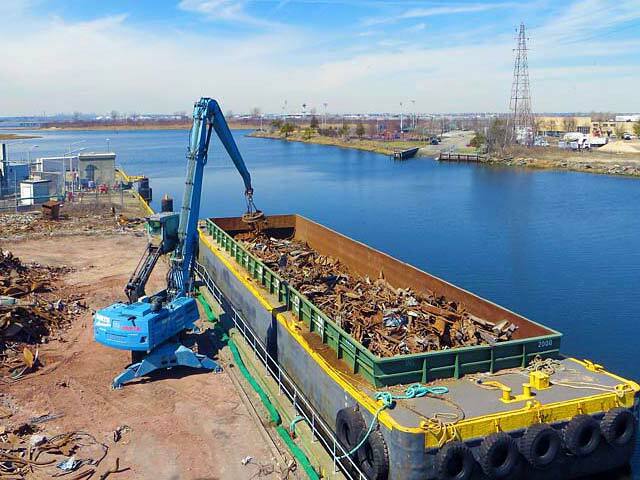 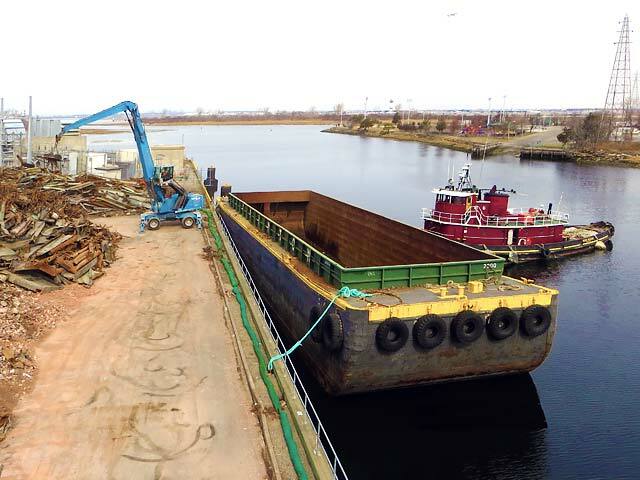 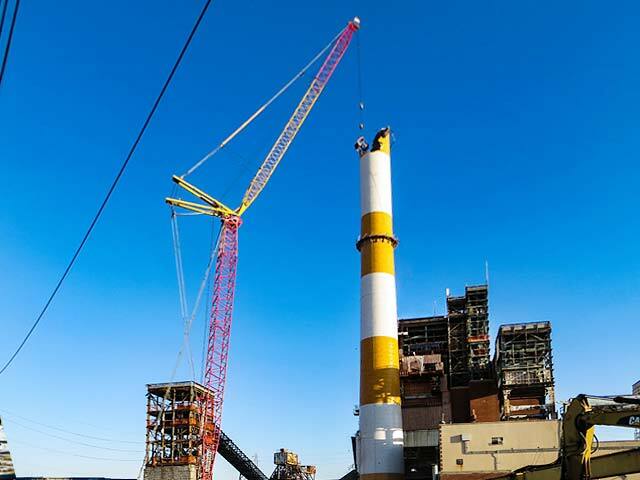 National Grid Far Rockaway Power Plant Demolition | North American Dismantling Corp.
Once NADC established site perimeter security and field administration offices were established, environmental restoration activities were commenced. 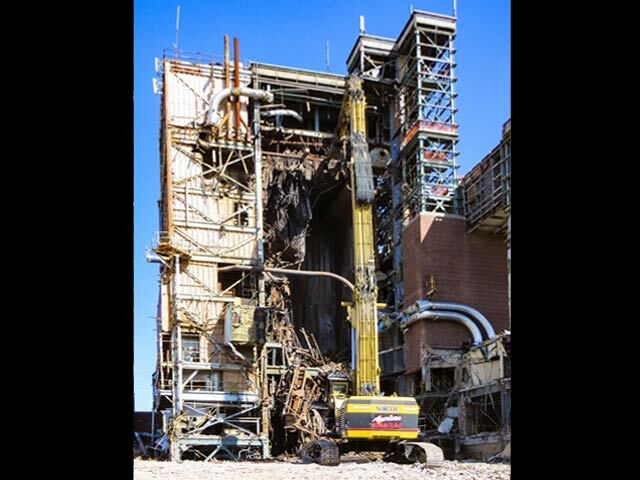 Complete asbestos abatement, PCB containing material removal, mercury containing devices removal, contaminated water collection, handling & disposal, underground and above ground tanks closures were all successfully completed during this phase of the work. 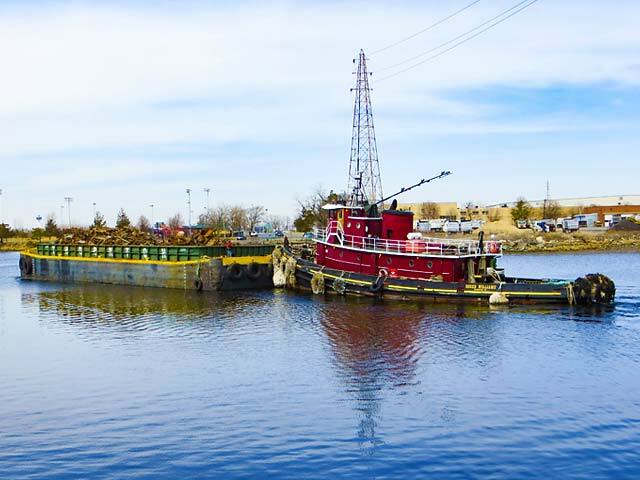 In addition, NADC provided for the proper closure and demolition of a 2,000,000 gallon fuel oil tank including remediation of impacted groundwater and soils. 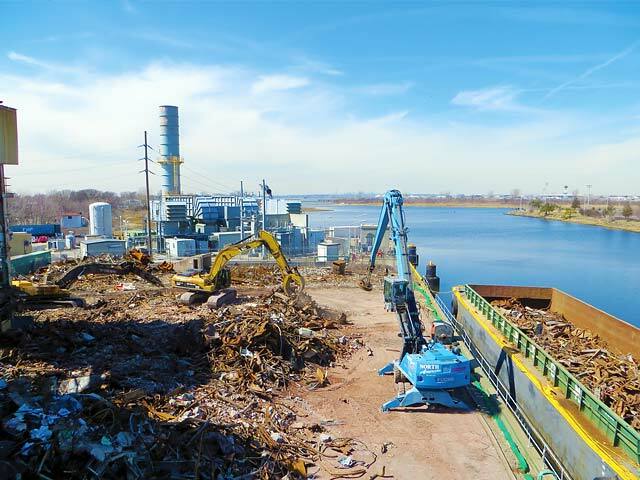 Additionally, NADC provided for the development and administration of a storm water management plan and a Community Air Monitoring Program (CAMP). 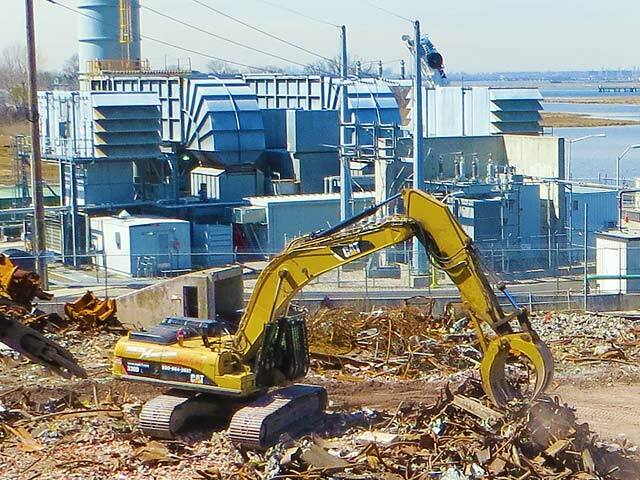 The CAMP provided for continuous monitoring for air borne particulates, noise levels, Volatile Organic Compound concentrations, and seismic vibration control. 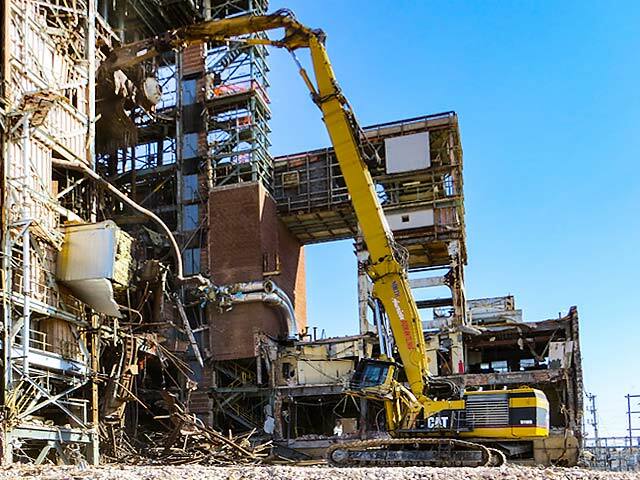 Primary structure dismantling was accomplished with the assistance of a Caterpillar 5510 outfitted with a Jewel High Reach configuration and a LaBounty 4000R hydraulic shear. 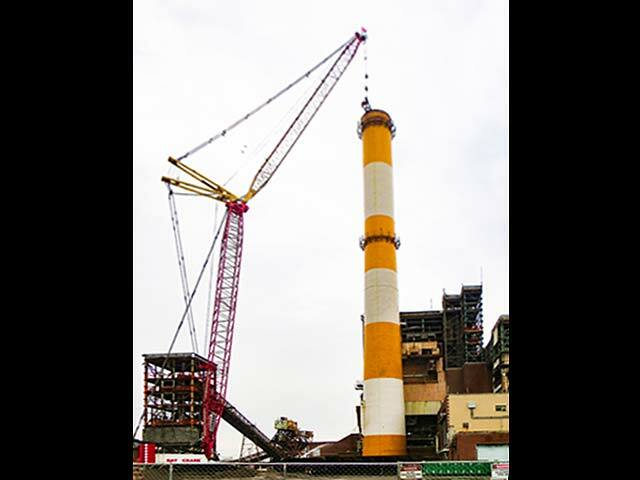 In this configuration the 5510 has a reach of 140 feet. 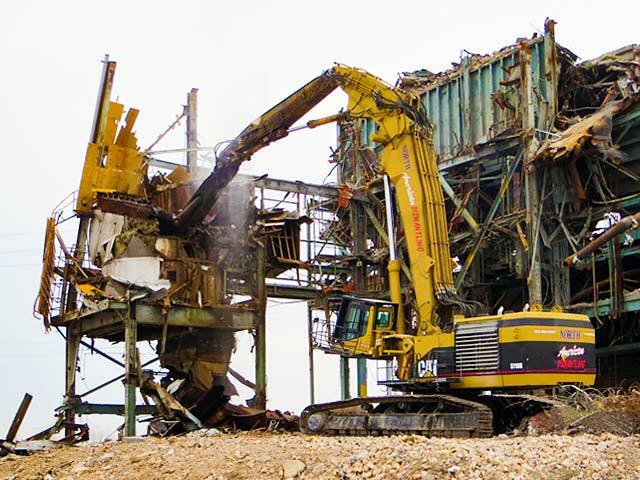 Assisting in the dismantling process were (2) Volvo 460 excavators with shear attachments and grapples, as well as, a Caterpillar 335, Komatsu 220 LC and other support equipment. 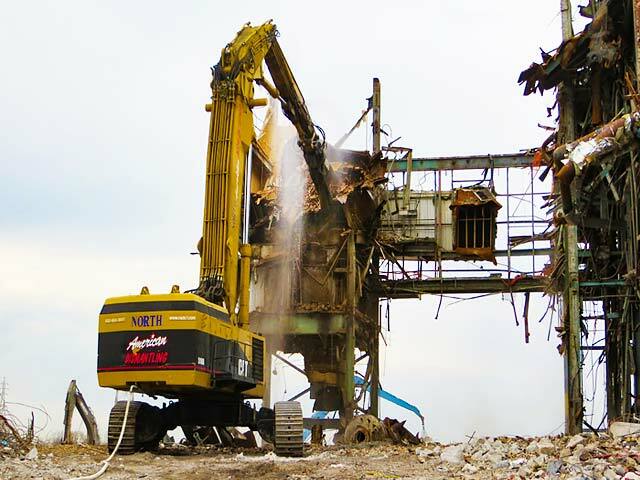 By utilizing high reach hydraulic equipment NADC was able to limit the amount of hand torch cutting required. 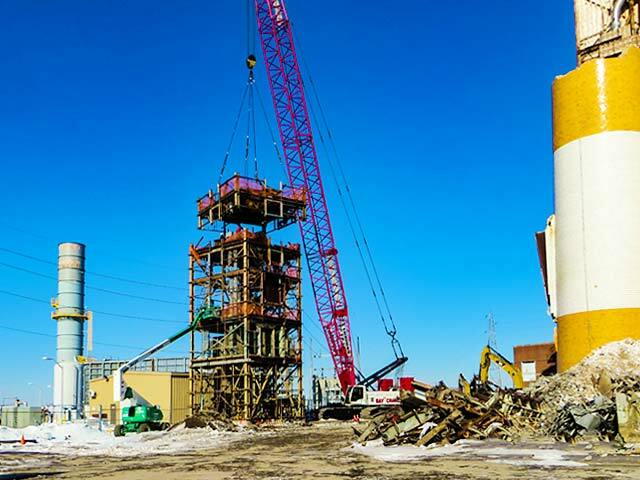 power plant demolition and asbestos abatement project.